Preventive maintenance will ensure that your system runs as efficiently as possible. An annual HVAC inspection allows our technician to identify items such as dirty coils or weak capacitors before they cause issues with operation. Suggestions will be made at the end of the appointment for any changes or improvements. We are available as needed or yearly as part of a maintenance agreement. By signing up for a maintenance agreement, you have the peace of mind knowing that your system is properly cared for. B&B also provides priority service for our customers who have an annual maintenance agreement. Winters in our area can be extremely rough on us and the equipment that stays outside all season. After a cold winter, your system may have problems getting started again. 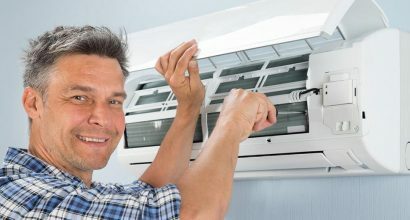 The first startup isn’t when you want to experience a failure, so having B&B’s professional technicians perform a thorough pre-season preparation on your system early can save you from the frustrations of a 90°+ day with no air conditioning. Inspect evaporator coil, pump and condensate drain lines. Clean as needed.